The past 48 hours have been brutal for the crypto sector as a whole, with the price of almost all the top 10 altcoins dipping quite substantially within the aforementioned timeframe. In this regard, Bitcoin is currently trading at $6,337, thus showcasing a drop of nearly 5% since the day before. As a consequence of this sudden downturn, the alt-asset sector has witnessed a drop of more than $13 Billion in its total value— with the overall market capitalization currently standing at $194.7 Billion. After dropping below the $200 threshold yesterday, Ether has slid even further, with the premier digital asset trading as low as $192 during the past few hours. However, since then, ETH has made a minor recovery, with the alt-coin currently trading at $198.61. Technical indicators show that Ethereum’s price could continue to drop over the coming few hours, with many financial experts even going as far as saying that the currency could close in on a long-term low of $150. 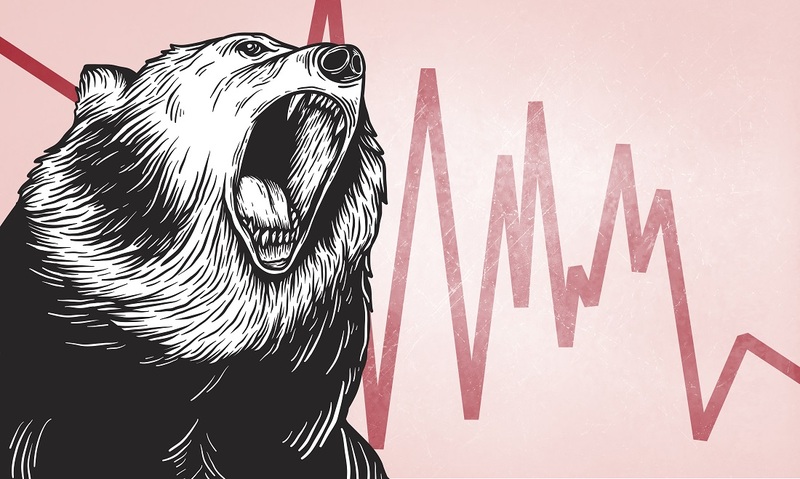 As the global cryptocurrency markets continue to see red, EOS investors seem to not be fazed by this latest wave of bearish pressure. To further elaborate on this point, we can see that the weekly chart for EOS/USD has remained fairly stable when compared to its contemporaries. At press time EOS is trading at a price point of $5.18, a figure that is only 5% lower than its relative value the day before. XRP, the digital currency that lies at the foundation of Ripple’s native blockchain network, has seen a drastic downturn in its fortunes over the past week. At the time of writing this article, XRP is trading around the $0.43 mark— thus showcasing a drop of more than 40% in its relative value from its September high of $0.7694. While the exact reasons for this recent drop are still unclear, as per Tim Enneking, the MD of Digital Capital Media, the September surge and subsequent fall has been a result of “the hype surrounding Ripple’s upcoming announcements and events– which eventually never materialized”. Another major casualty of the recent bear attack has been BCH, whose value has dropped by over 12% since October 10— thus forcing the currency to trade at a meager price point of $449.18 (at press time). While there is no one clear indicator as to why this latest slump has occurred, it now remains to be seen how the crypto markets continue to respond to the existing conditions in the days and weeks to come. The post Crypto Price Watch: Ethereum (ETH), Bitcoin (BTC), EOS, Ripple (XRP), Bitcoin Cash (BCH) Daily Roundup appeared first on NullTX.